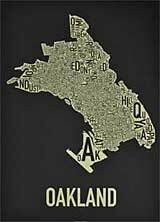 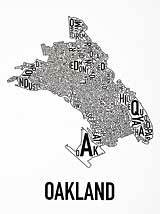 Oakland Neighborhood Maps make an excelent gift for any resident or fan of Oakland. 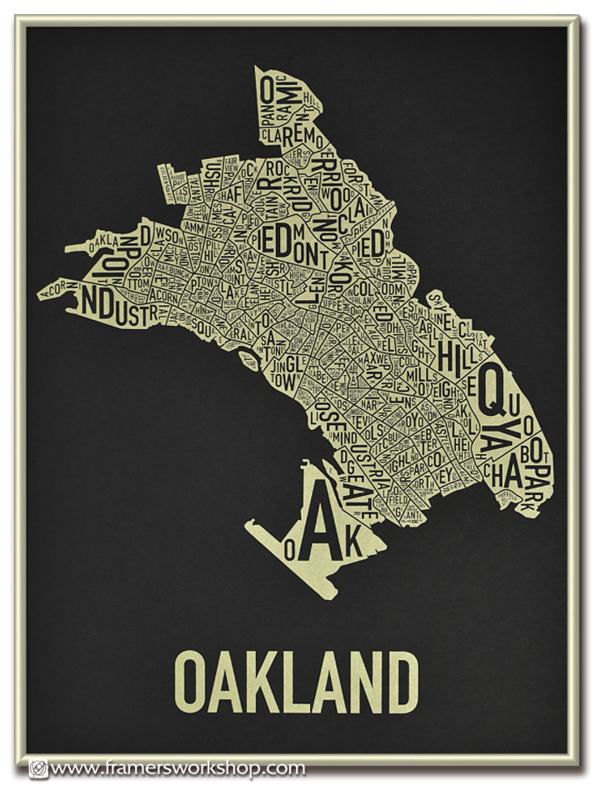 Thes 18" x 24" prints come in four colors, available framed or unframed. 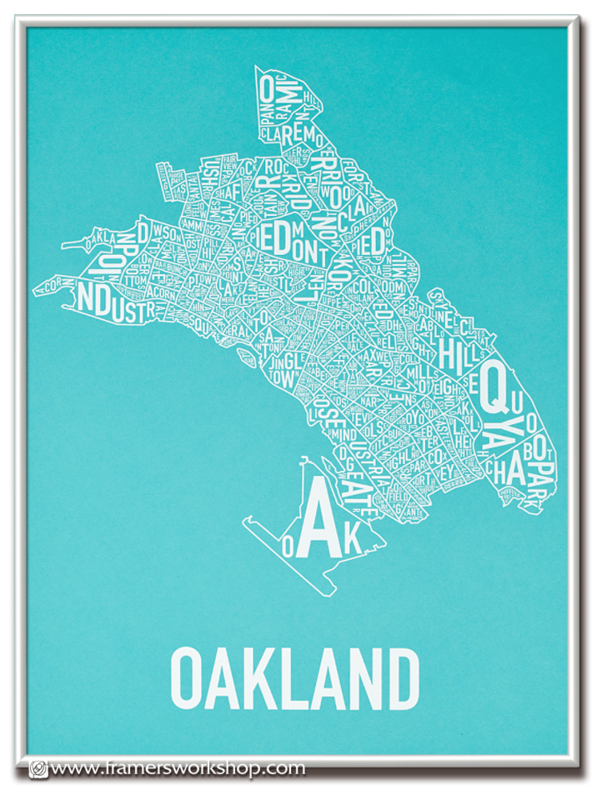 Scroll down to see larger, framed versions of each. 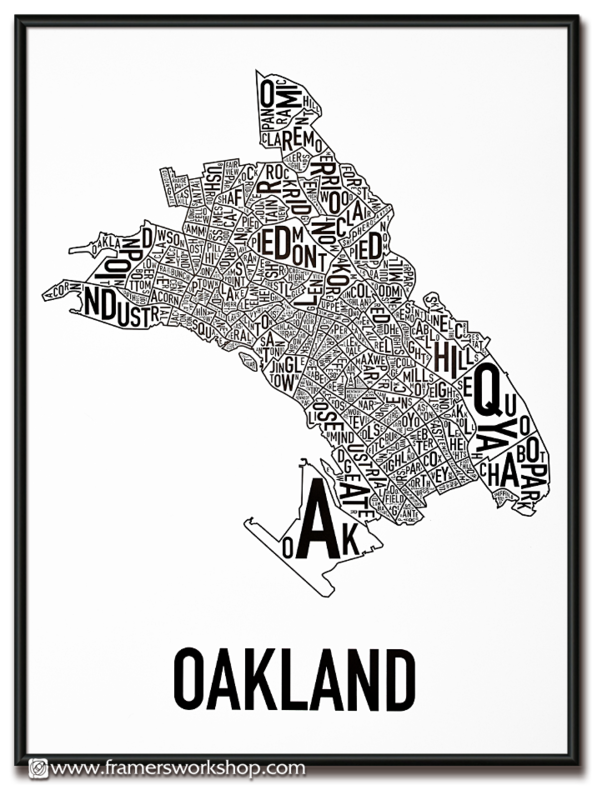 The Poster Special Priced metal framed versions, below, come mounted to foam core with UV filtering acrylic. If you're local, it is best to order by phone and pick up when complete to save shipping costs.